Known to some as the "Venice of the Alps", Annecy lies nestled within beautiful scenery and surrounded by mountain peaks, and has welcomed countless riders in the Tour de France — take our tour to see why it's so beloved by cyclists worldwide. Arrivals are collected from midday at Geneva Airport or Annecy train station. Once again in 2018 the Tour de France will be riding into Annecy, famous for its old town with canals and bridges and the amazing views of the mountains surrounding the lake. It is the crystal clear water of Lac d'Annecy as it is known in France and the breath taking mountain climbs that makes this one of the most popular tourist destinations in France and a place where we look forward to cycling with you. Our tour showcases the amazing Lake Annecy and surrounding mountain scenery and cols. 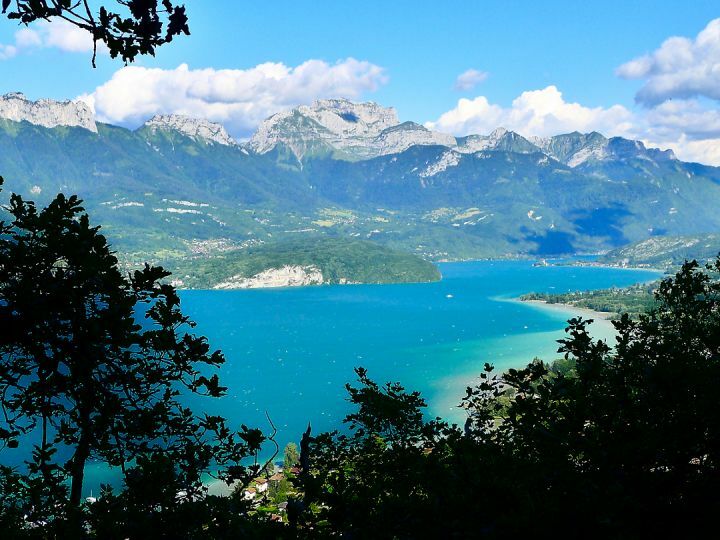 Though Lake Annecy and area may be a somewhat lesser known area by cycling enthusiasts outside of France, ask any local and they will tell you that this area and the quiet roads and tree covered climbs of the Parc de Bauges make this a cycling mecca. With the proximity to the St Jean de Maurienne Valley the world’s capital of uphill cycling (or so the French claim!) the Parc des Bauges and the Alpes, this new road bike adventure allows us to cycle along the same roads as the pro's - all of course within our own time! After collecting everyone from Geneva or Annecy, we head to our hotel on the west side of Lake Annecy where we can put our bikes together and head out for a ride around the Lake. We stop in Talloires on the east side for a drink and then continue our ride back to our Hotel where a dip in the lake is waiting. Our ride today begins by exploring the natural beauty of the Parc de Bauges. This UNESCO World Geoparc’s rolling countryside, as we head towards the St Jean de Maurienne Valley, is nothing less than stunning! Once we reach the St. Jean de Maurienne valley, we ride up the amazing “Lacets de Montvernier” — so named as the 13 hairpins look like laces up the mountain. Our stay tonight is at the Hotel St. Georges, a hotel that lives and breathes cyclists! The highlight of the day is the Col de Madeleine. Featured in the Tour de France 24 times since 1969, and again this year, this 19km climb with an average of 8% gradient is always a good day with many other cyclists along the route riding to the top for the reward – the legendary Myrtille tarte! Not one to miss! We stay in the spa town of Brides Les Bains for two nights. Relax in the hotel pool and spa or pre book a massage. No packing today, as we stay at our hotel for another night. It can be an easier day if your legs feel like a rest as we have two route options. We all head back down the valley and climb up the quiet winding road to the ski station in St Martin de Belleville; a coffee stop in the square, and then a beautiful descent to Moutier before heading back to Brides les Bains. 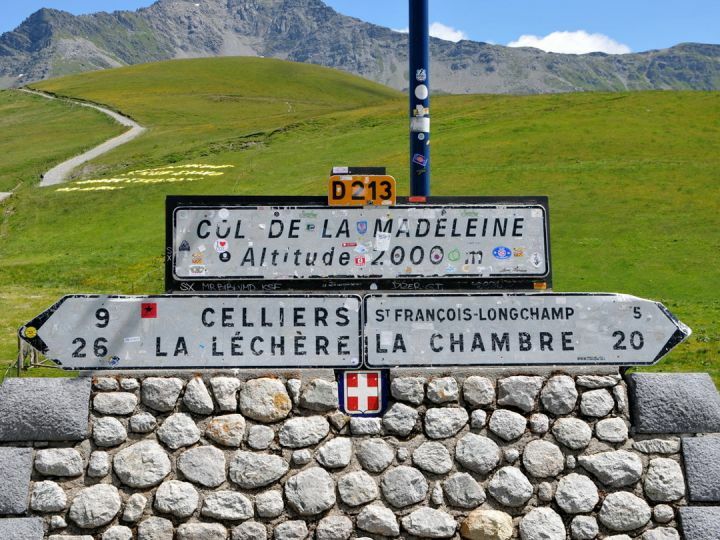 Here your day of cycling can end — or for those up for the challenge, we continue to climb up to the ski station of Meribel, a well known stage of the Criterium de Dauphine and a rumoured Tour de France stop for 2019! Still looking for more? Test your legs on the 2005 Tour de France climb to Courchevel! Heading north today back towards our starting hotel on Lake Annecy. 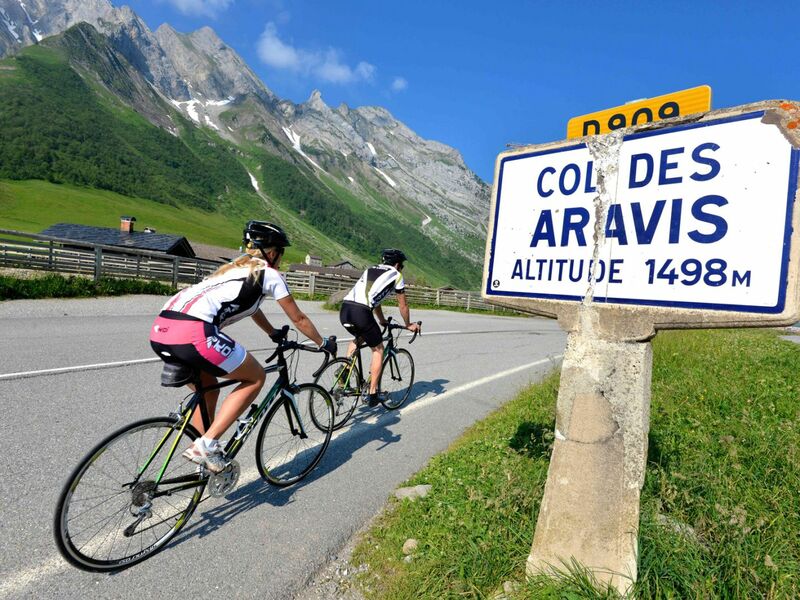 We ride through Albertville — another start town of the Tour De France this year — and follow the roads of the pro riders over the Col de Saisie and Aravis. A jump in the lake to cool off ends our day before a dinner out tonight! Your final day of riding, and another day of no packing! We ride away from the lake this morning over the Col de Semnoz, a Tour de France stage finish in 2012 and then descend back down to the lake (perhaps a quick dip will be in order) and follow the shoreline back into Talloires for the first of many celebratory drinks before we head back to the hotel for our final dinner together. After breakfast and an exchange of emails with your new friends, we say our “au’revoirs!” and hope you go home with a lifetime of memories! The 3* Beauregard’s most obvious attraction jumps out at you – the stunning location! With lawns running down to Lake Annecy and the majestic mountains of the Aravis massif opposite, you would never tire of the views. With a respected restaurant ‘La Boussole’ serving delicious local produce in this fabulous location, you’ll be well set up for the challenges of the week ahead! A hotel since 1866, the 3* Saint-Georges has been a firm favourite with sporting cyclists – we have been staying here for 12 years! Martine, the owner, has been extending her warm welcome to cyclists for decades, and as a result the facilities for storing and maintaining bikes is second-to-none. The luxurious 4* Grand Hotel features a well-appointed spa as well as an outdoor and an indoor swimming pool – so if your limbs are aching after a few days of cycling, book yourself in for a sauna and a massage! The gourmet restaurant is a real treat after a post ride beer in the piano bar!